When it's time for new front brake pads, stick with what you know and restore your WK2 Jeep Grand Cherokee to original performance with a set of these pads from Mopar. Because they come from Mopar, you can be sure these pads will fit right. 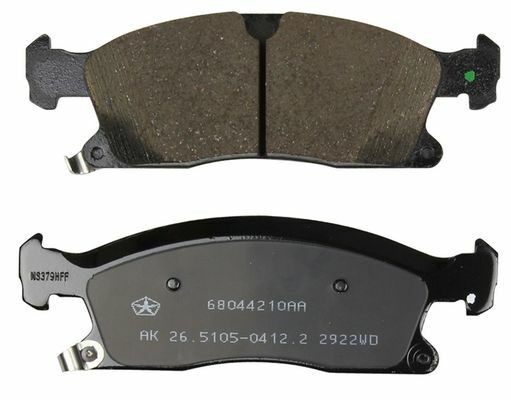 These front brake pads fit Grand Cherokee models with the BR6, BRY or BR1 brake systems. If you're unsure which brake system your Grand Cherokee has, contact us with the VIN and we'll look it up for you to make sure you get the right parts. Excellent product speedy delivery great company to do business with I love just for jeeps.com always have for my Jeep.